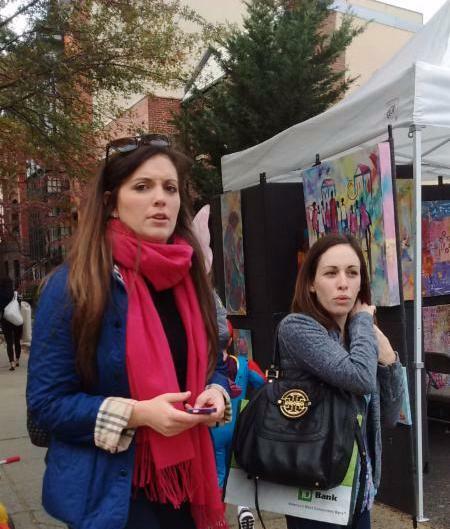 Art Rave DC Major Announcement! WE ARE CLOSE TO DOING IT AGAIN!! ENSEMBLE OF VENUES THROUGHOUT DC..
WITH CITY & CIVIC OFFICIALS. THIS ALL DEVELOPED VERY QUICKLY, IN THE LAST 24 HOURS. WE WERE WORKING ON IT FOR SEVERAL MONTHS. IT MAY PROVE MORE IMPRESSIVE THEN OUR PREVIOUS HIGHLY TOUTED BUILDING ON FLORIDA & GEORGIA AVE. IF THAT’S EVEN POSSIBLE. CURRENTLY WE ARE FINISHING THE FINER DETAILS. WE MIGHT HAVE WAITED A LITTLE MORE BEFORE ANNOUNCING IT. HOWEVER TO SEE THE POSSIBILITY OF OPENING THIS DECEMBER WE NEED TO AT LEAST GENERATE A LIST OF ARTISANS THAT WANT TO BE PART OF THIS TERRIFIC OPPORTUNITY. EVERYONE WILL BE JURIED. WHEN FINALIZED, WE WILL PROBABLY START AS A 3 DAY OPERATION THURSDAY THROUGH SATURDAY. ENTRY WILL BE VERY AFFORDABLE. THERE WONT BE AN OPPORTUNITY LIKE THIS ONE. YOUR OPERATION WILL BE FRONT & CENTER IN THIS MOST PRESTIGIOUS LOCATION. THE FIRST LEVEL WILL INCLUDE SPECIAL EXHIBIT ROOMS THAT CAN ALSO BE USED FOR SPECIAL ART EXHIBITS FOR ARTISTS HERE & GLOBALLY OR WORK SHOPS SUCH AS PAINT CLASSES OR SILK PAINTING, EVEN SEWING CLASSES. THE SECOND FLOOR WILL HOLD FASHION DESIGNERS & SPECIALTY CRAFTERS. JEWELERS CAN SET UP A WORK BENCH. THERE’S EVEN AN ELEVATED AREA THAT COULD ACT AS A RUNWAY FOR FASHION SHOWS. LIKE WITH OUR OTHER BUILDING WE WILL ABLE TO OFFER CURATING SERVICES AS WELL. DO NOT WAIT & BE SHUT OUT!! & EXPRESS YOUR INTEREST. INCLUDE YOUR WEBSITE, FACEBOOK OR INSTAGRAM THAT WILL SHOW US YOUR WORK. WHEN DETAILS ARE FINALIZED, WE WILL INFORM THOSE WE SELECTED ONLY. HOWEVER EVERYONE NEEDS TO BE READY ONCE INFORMED. 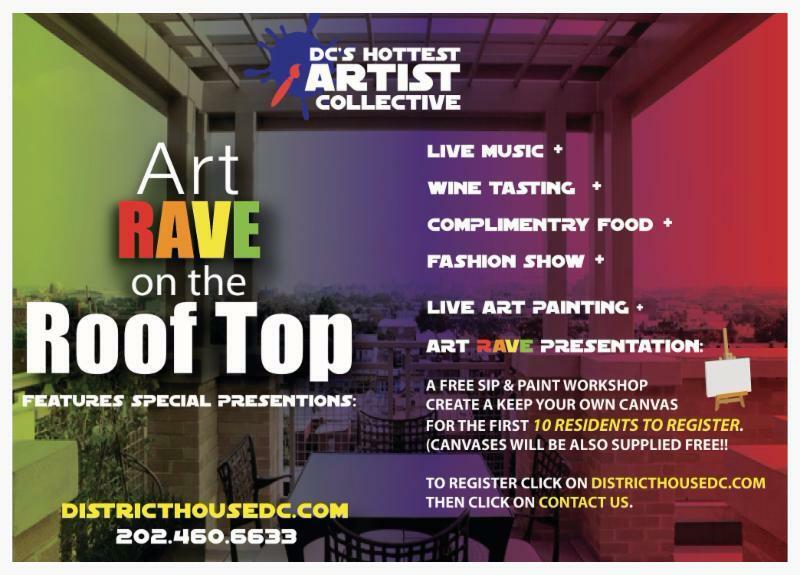 SATURDAYS TILL XMAS & ART RAVE ON THE ROOF TOP. DETAILS FOR ENTRY TO THESE VENUES INCLUDING FREE APPLICATION SEE BELOW..
WITH GREAT SUPPORT FROM OUR FINE SPONSORS, WHO WILL PAY A LARGE PORTION OF YOUR ENTRY FEE, OUR PRICING HAS CHANGED FOR NOW. INSTEAD OF $58, YOUR ENTRY FEE IS JUST $39, ALMOST A 40% SAVINGS!! 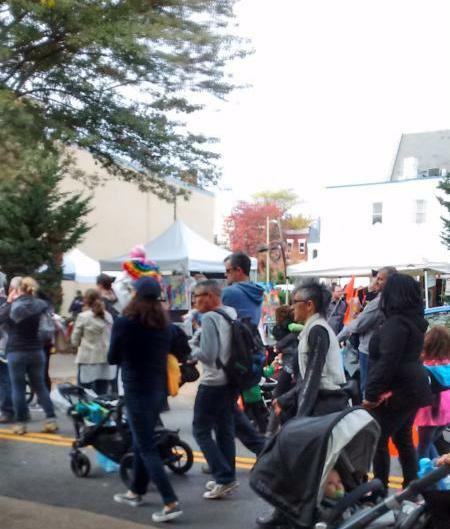 SCROLL DOWN TO THE END & APPLY..
ALL AROUND THE CITY ITS ..
WHAT A WAY TO TARGET AUDIENCES. WE BRING THE ENTIRE SHOW TO THEM . E-MAIL BLASTS ARE SENT TO ALL THE BUILDINGS RESIDENTS & THEIR GUESTS, LEADING UP TO THE EVENT. 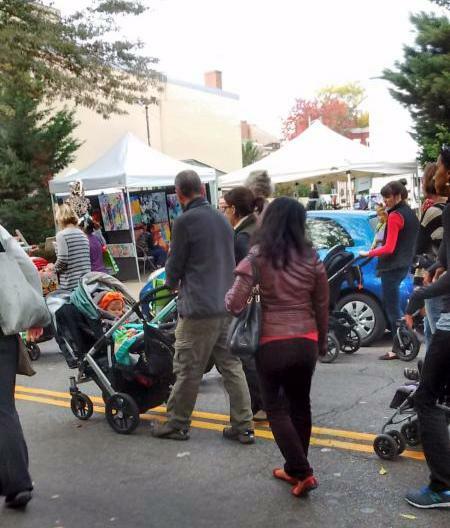 IT HAS BEEN A WELL ATTENDED EVENT. LISTED ABOVE, SOME OF THE EVENING’S FESTIVITIES..
JUST $29, INSTEAD OF $48. 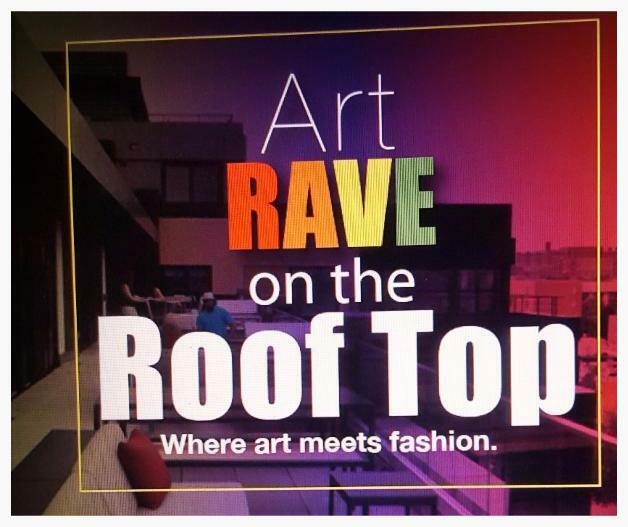 AND FOR ART RAVE ON THE ROOF TOP LIST ALL YOUR POSSIBLE WEDNESDAY & THURSDAY DATES THRU & INCLUDING THE MONTH OF JANUARY 2016 WE WILL MATCH UP WHAT WE HAVE COMING UP TO YOUR SCHEDULE. ART RAVE GIVES YOU REAL CHOICES. 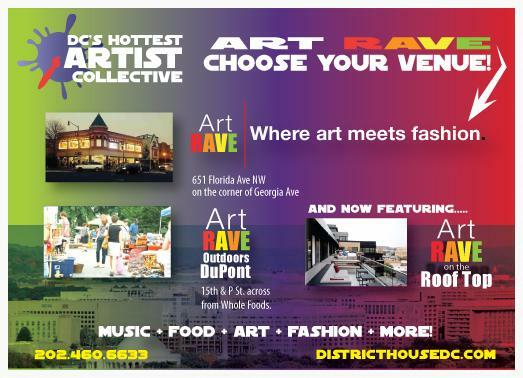 AT ART RAVE DC, WE ARE THE CULTURAL VISIONARIES & FACILITATORS IN THE ART & FASHION WORLD! !